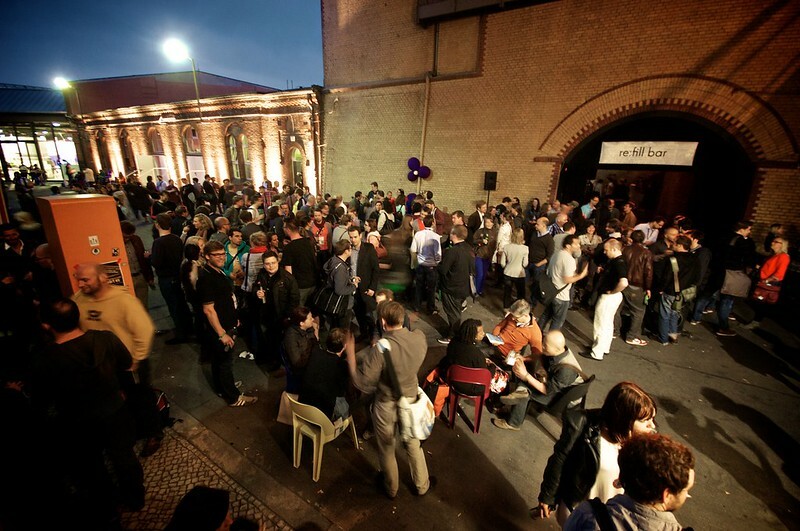 re:publica takes place in the same location as last year: the STATION-Berlin. Due to the great operating experiences from last year and your positive feedback we stay at STATION-Berlin for next year's re:publica on 6 – 8 May, 2013. The 1913-built Post-Station had its ups and downs before it was ultimately closed in 2003. Two years later the PREMIUM Exhibitions GmbH bought and extensively renovated the historical halls, respecting and taking care of their industrial charm. Since then all different type of events take place at STATION-Berlin. On 6 – 8 May 2013, it’ll host the re:publica conference for the second time. The former post train station is centrally located in Berlin and easy reached via the underground lines U1 and U2. From U-Bahnhof “Gleisdreieck” it is only a few meters walk to STATION-Berlin (Google maps). How do I get to re:publica using public transportation? Take the city train S-Bahn from S+U-Bahnhof Hauptbahnhof to S+U Bahnhof Zoologischer Garten and change to the underground line U2 (northbound towards Pankow) to U-Bahnhof Gleisdreieck. From Alexanderplatz, take the U2 (southbound towards Ruhleben) to U-Bahnhof Gleisdreieck. S-Bahnhof Anhalter Bahnhof is also within walking distance (approx. 8 mins) from STATION. Buses such as the M41 stop there as well. Further public transport connections can be found via the Berlin Transport Authority BVG website. We have bike stands located on the STATION site which you can use to lock up a bike. Getting to re:publica by car: There is a fee-charging parking garage within 60m of the STATION with a capacity of 2.500. However we do recommend that you travel to the location via public transport as free parking in the area is limited.